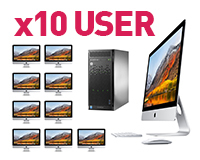 Lease 10 new iMacs with a Windows 2016 Server, and get your business up to speed. As Apple continues to reduce support for its physical Servers, with a push towards Cloud only, Microsoft has recognised a need to improve their support for Macs. Windows 2016 is now is the default to ensure your Mac’s security when dealing with remote access and file sharing. Our ‘Gold’ support installation includes Sophos Advanced Protection to help fight off Ransomware attacks, coupled with a new generation of HP Gen10 Servers to make sure as well as security, you ensure quality. 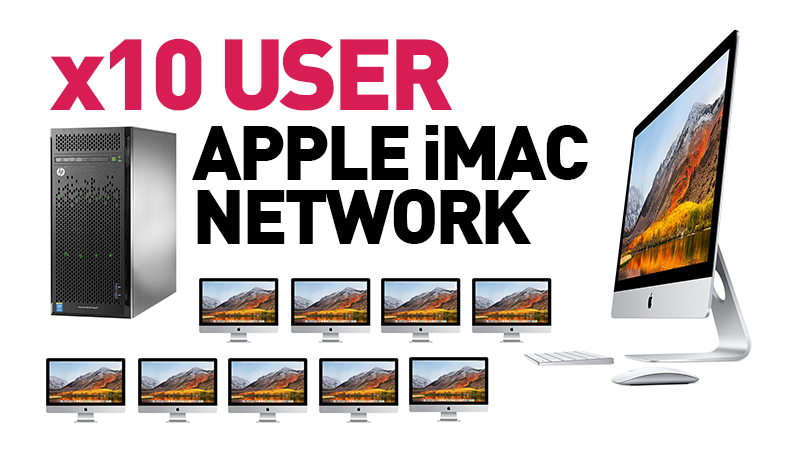 They operate as the main bastion of this 10-user iMac network; ensuring that your information, stays your information. Available on a three-year flexible lease with inclusive three-year warranty. Looking for a comprehensive office setup? Microsoft Office for Mac 2016 or Office 365 can be added to all your Macs. All leasing packages include everything to run your business with an eclectic choice of Support and Installation options.